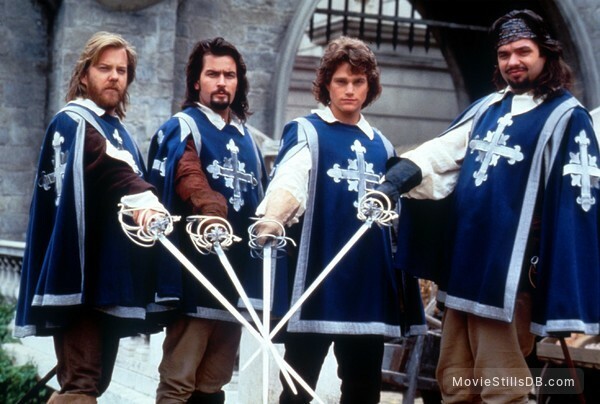 Publicity still of Chris O'Donnell, Oliver Platt, Kiefer Sutherland & Charlie Sheen. Copyright by Walt Disney Pictures and other respective production studios and distributors. Intended for editorial use only.